Single-wall construction. 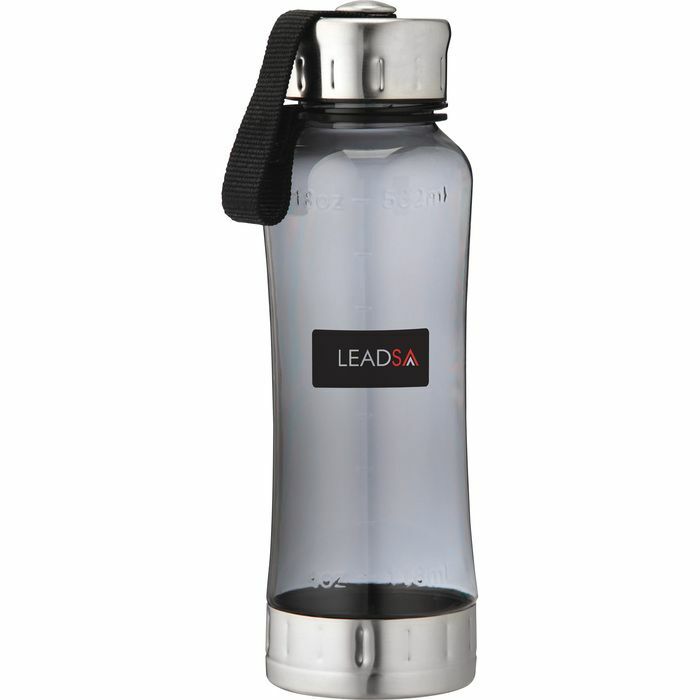 Sports bottle with stainless steel trim. Tethered twist-on lid. Hand wash only. BPA-free Eastman Tritan Material.